The first week of May witnessed the 12 th BookWorld – International Book Fair and Literary Festival held in Prague. 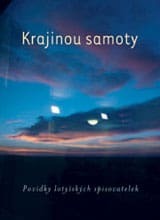 During the book fair the Czech translations of three Latvian books were published, despite the fact that in the past – with the exception of last year’s publication of Sandra Kalniete’s documentary prose with V plesových střevíčkách sibiřským sněhem ( With Dancing Shoes in Siberian Snows – published by Lubor Kasal press), Latvian literature had no been very popular in the Czech Republic. Now the ice has broken: the very same Lubor Kasal is to be credited with the publication of Nespavost ( Insomnia ), the work of a classic Latvian writer Alberts Bels (banned for many years by Soviet censors) and Fra publishers have brought out an Anthology of Contemporary Latvian Poetry (with poems by Inese Zandere, Inga Gaile, Kārlis Vērdiņš, Liāna Langa, Amanda Aizpuriete, Uldis Bērziņš, Knuts Skujenieks, Edvīns Raups, Juris Kronbergs, Jānis Rokpelnis, Jānis Elsbergs, Sergejs Timofejevs, Māra Zālīte, Semjons Haņins, Imants Ziedonis ). Much praise is also merited by the Prague-based publishing house One Woman Press, introducing four contemporary Latvian prose writers ( Inga Ābele, Nora Ikstena, Andra Neiburga, Gundega Repše ) in the book Krajinou samoty ( The Lonely Landscape ). Important contribution to these anthologies was made by Pavel Štoll, the editor and the Czech Baltic studies expert. 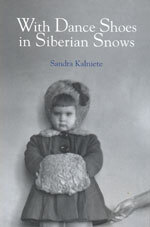 Another foreign language edition of the autobiographical novel by Sandra Kalniete, With Dancing Shoes in Siberian Snows, has been recently published in Latvia. The author of the English translation is Margita Gailitis and it is published by the Latvian Occupation Museum Association with the support of the Latvian Culture Capital Foundation and Latvian National Federation in Canada. The book has now been translated into seven languages, including French and Czech. In the beginning the German publishing house Weidle Verlag has published a novel by Anšlavs Eglītis (1906-1993) „Homo Novus” , translated from Latvian into German by Berthold Forssman. The book has been also informatively supported by Latvian Literature Centre and State Culture Capital Foundation.